It could help us find new treatments for conditions like leukemia. Here’s a quick biology lesson. Each drop of blood in your body starts in the same place: your bone marrow, the tissue at the center of your larger bones. If you’re sick with a disease like leukemia, something’s off with your bone marrow, and there’s often not much doctors can do about it. But now, a team of Swiss researchers has successfully created artificial bone marrow. The model exists outside the body, but the living cells in it act just like they would in our bodies, according to research published this week in the journal PNAS. Better understanding how our bone marrow works could help doctors better treat life-threatening diseases like leukemia. Blood cells form from stem cells. To be exact, they form from specific kinds of stem cells, called hematopoietic stem cells (HSCs). These, plus other kinds of stem cells, live in micro-environments within the bone marrow called niches. Recreating these niches in a lab has proven difficult. In the past, whenever researchers placed HSCs in their artificial niches, the cells lost their ability to multiply and split into the various types of blood cells, according to a press release. The Swiss team’s artificial bone marrow tissue doesn’t have this problem. The result? An artificial bone marrow tissue that mimics the body’s natural one closely enough that stem cells and progenitor cells — cells that, like stem cells, can differentiate into other types of cells, but only a certain number of times — could survive in it for days. That’s way better than any similar model before it. Now that the team has created this model and knows it works, the next step is putting it to use. 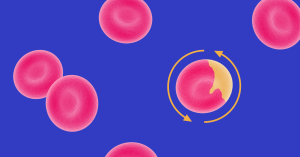 Researchers could conduct experiments in the artificial environment to better understand how blood cells form, or to test new drugs to treat blood diseases. They could even create artificial bone marrow tissues using cells from specific people to determine exactly how their bodies might react to specific treatment options. So, while there might be no place exactly like home for stem cells (except for, you know, our real bone marrow), we now have somewhere that’s close enough to suit our needs.